Once in a blue moon! Spacious traditional stone house overlooking the river in the much sought-after Marais Poitevin, known as the Green Venice. This house offers flexible accommodation and sits on a quiet plot of just over 1000M2 set out . . .
Just outside the beautiful village of Coulon on the Marais Poitevin. Only 56 km from La . . . 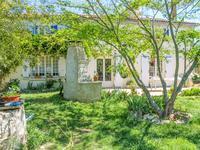 Magnificent Charentaise in the heart of the Capital of the Marais Poitevin,Coulon. Located in the capitale of one of the most beautiful landscapes of france, in the heart of . . . Situated in a lovely plot in Coulon, one of the prettiest villages in France, at the heart of . . .